On June 4, 1940, the last of 338,000 Allied troops escaped from Dunkirk, Belgium, across the English Channel. While Britain's retreat was a stunning success, it also effectively ceded the continent to Nazi Germany. Approximately four years later to the day—on June 6, 1944—the Allies returned. In an attempt to pierce the 2,400-mile fortification of bunkers, landmines, and obstacles along Germany's Atlantic Wall, some 156,000 Allied troops stormed beaches on Normandy, France, in the largest amphibious assault in history. Codenamed Overlord and known as D-Day, the five-prong attack occurred along a 50-mile stretch of heavily fortified coast in an effort to reclaim the area from Nazi Germany. It was, in the words of General Dwight Eisenhower, a crusade in which "nothing less than full victory" could be accepted. Less than a week later, victory had been realized. The coast was secured and reinforced with more than 326,000 troops, 50,000 vehicles, and about 100,000 tons of equipment. And some 4,400 Allied troops—primarily young men from America, Canada, and England—had laid down their lives. 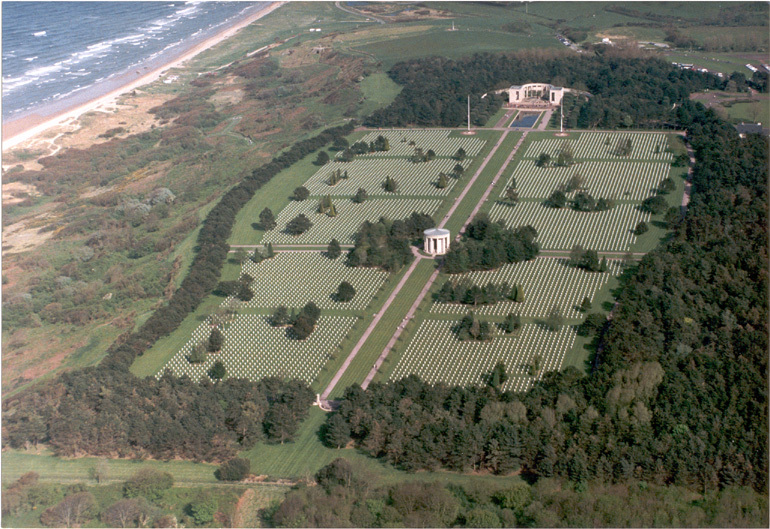 Normandy American Cemetery sits on a cliff overlooking Omaha Beach and the English Channel. Take a moment today to remember those that sacrificed everything to secure our freedom. Imagine what our lives would be like if they hadn't. Thank you for the timely and needed reminder! Cannot imagine the grit it took to invade and hold that beach.